Zen customer experience management software correlates network and customer data across all services to reduce churn and improve NPS. Traditionally CSPs have been margin rich, however as the telecoms industry has evolved, they have faced commoditisation and have seen an influx of fresh competition. In today’s market, CSPs must differentiate through outstanding customer experience to both retain existing customers and facilitate future growth. With over 40% of customer dissatisfaction originating from the network, CSPs must tailor their customer experience management programmes to cover every subscriber interaction, whether it be in store, via customer care, or indeed through the network. Customer experience management software must correlate network performance metrics with customer experience metrics to fully understand at which point a customer is impacted, and act upon this prior to customer churn. Zen customer experience management software gives CSPs visibility of how network performance directly impacts customer experience, enabling preventative actions to improve NPS and reduce customer churn. 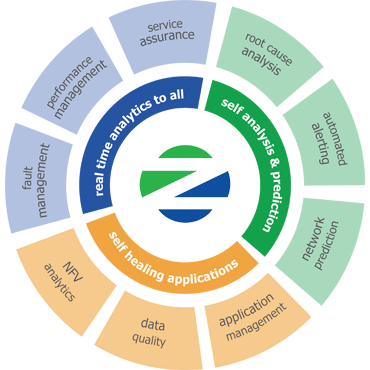 Zen collects data directly from the network along with probe and call trace data, customer experience data and social media data. The solution correlates these multiple data feeds in one window, enabling network engineers and CEM teams to visualise what actually impacts a subscribers’ perception of the network. CSPs can then use Zen customer experience management software to build a library of forecasting and prediction models to identify thresholds in network performance which are likely to cause customer dissatisfaction and churn. 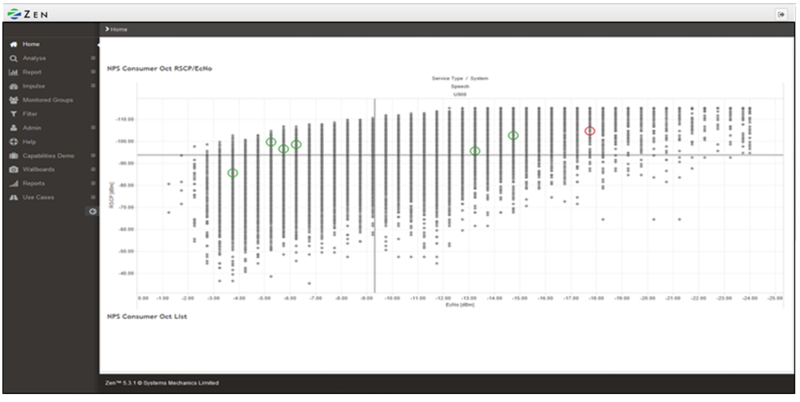 On top of this, automation scenarios alert network engineers to degrading performance metrics before they meet the identified thresholds in the prediction models, enabling preventative action prior to triggering customer churn. As part of the Zen Operational Intelligence Software, the Customer experience management module is available as a stand-alone solution, or as part of a wider Zen implementation. Zen provides CSPs with the ability to reduce customer churn by predicting how network performance will impact subscribers. With this information, CSPs can make customer driven operational decisions, prioritizing network maintenance, optimisation and planning based on the greatest impact to customer experience. They can also generate a churn risk score for individual subscribers, alerting them to high value, high risk customers so that they can be given an extra level of attention. Zen customer experience management software users can monitor trends in network degradation over time, and create predictive automatic alerts based on high ARPU customer SLA’s. This enables the detection of potential SLA breaches before they occur. 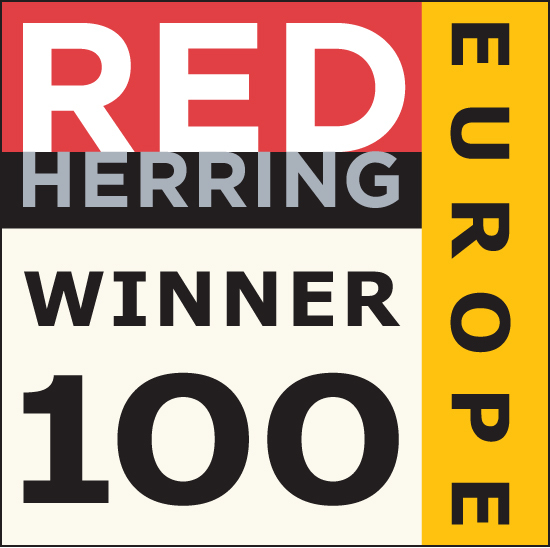 Operators can rectify the problem, avoid an SLA breach and keep high ARPU customers satisfied. With the ability to correlate network performance metrics with customer experience metrics, sales and marketing teams can begin to identify potential customer growth opportunities. For example, if a customer is shown to be in a good network quality and coverage area yet is dissatisfied, there could be potential for a more optimised handset upgrade or a small cell unit in the home. Take a look at the specific use cases below to see how Zen customer experience management software is actively being used within tier 1 network operators. When working with network metrics alone, network engineers have no visibility of the true impact of their optimisation activities. By overlaying net promoter score (NPS) with coverage and quality metrics, CSPs can understand which factors actually affect a customer’s perception of the network. Optimisation teams can then focus their efforts on activities with the potential to deliver the biggest impact to customer experience. To maximise revenues CSPs must ensure the continued satisfaction of VIP and enterprise customers. 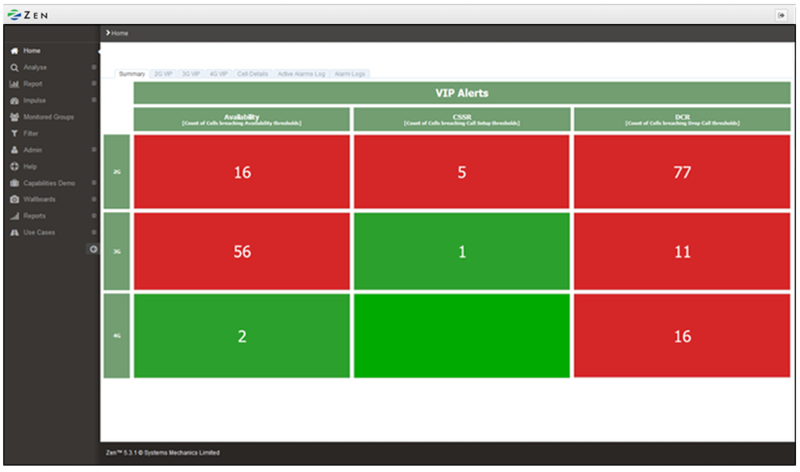 The VIP SLA breach alerting dashboard automatically notifies network engineers of an impending threshold breach based on the customer’s service level agreement (SLA). They can then drill down to the causative cell(s) in just one click, and prioritise remedial action prior to the SLA breach.